There are few things more overlooked in branding than the balance between brand identity and UX/UI. 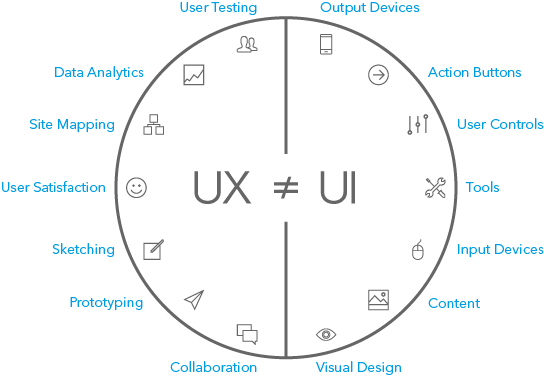 While the user interface (UI) provides a solid design and visual elements to attract users and build upon a brand identity, user experience (UX) must create a one of a kind interaction between the device and the customer. The experience of UX has to be built upon simplicity and reflect the company from the ground up--which is why it’s so important to understand what it is, and why, especially as an eCommerce site, your brand identity hinges so heavily on it. 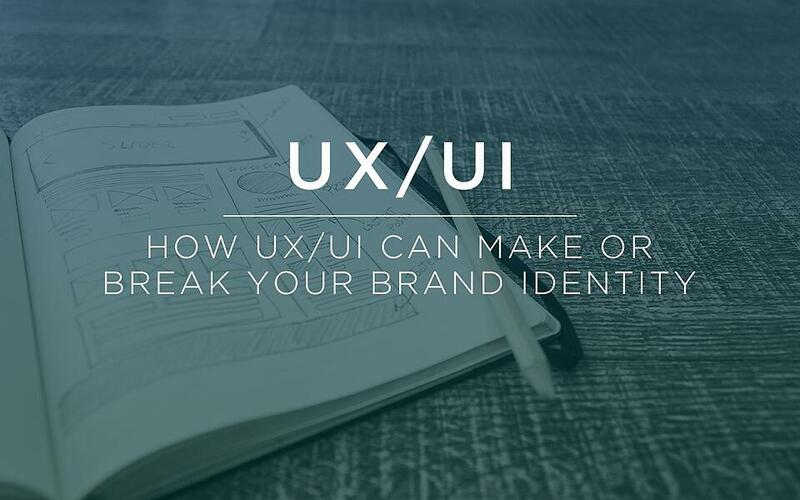 Before we dive into how UX/UI can impact your brand, it’s important to understand precisely what your brand is. Too many times have I heard clients and designers say that a brand is just a logo--even though building a brand is so much more than any one mark. Your brand is much more than just the visual components of your company; it’s how a customer interacts with a salesman, how you purchase a product from a website, how a product makes you feel, and how a company build your trust. Every day, consumers make small decisions about which brands we trust--not always because they have the better product or better service, but because we trust the brand. We build a perception of a brand around the things they do and the products they make: if you have a bad experience either in store on online with a brand, that creates a negative perception, and the same goes for the opposite. Especially for designers, the goal to make sure that every customer has a good experience in order to maintain and grow our client’s brand. How many times have you gone on a website and been completely confused about what it is you are supposed to do to make a purchase? We’ve all had this experience, and though it can sometimes it can create a feeling of self doubt or anxiety, it almost always results in wanting to leave and not make the purchase at all. Of course, we don’t want all of our customers coming to our site just to make them feel like they have no idea what they are doing. A bad website or a confusing user experience can very quickly lose a customer. That’s where good UX comes in. We're not here to tell you that just because your site works really well it’s going to attract customers--although design plays a role in the big picture, there needs to be a balance of UX and good design to guide the customer through the site. Remember, everything about your website is a reflection of your brand. It needs to stay true to the visual aesthetics and complete the task at hand, but you must think past just the visual layer and start thinking about what happens beyond that. It’s often forgotten that a website needs to function differently for different users. While designing or developing a website, we often overlook the main goals of each customer. Not only is it extremely important from a UX point of view, but it’s crucial to building a brand identity. Knowing the customer and their needs is the only thing that should matter. While most clients think they know their customer, they don’t always know what’s best. It’s a designers job to reach out to the customer, remembering that they’re the one who ends up using the website and buying the product. Websites need to function in a way that focuses on the main goal while constantly keeping the customer in the forefront. In a world where we are constantly reminded that UX is an important factor when it comes to creating a brand. Customers are becoming harder and harder to attract and impress with development of instant services like Netflix, Twitter and more--users rely on these services to just work, and now smaller business are held to this same standard. If your service doesn’t work flawlessly, you’re instantly compared to industry giants that take create brands entirely around UX. In short, focusing on the experience and customers needs are what drive a brand and what create customer loyalty--which is what really matters for your brand, in the long run.